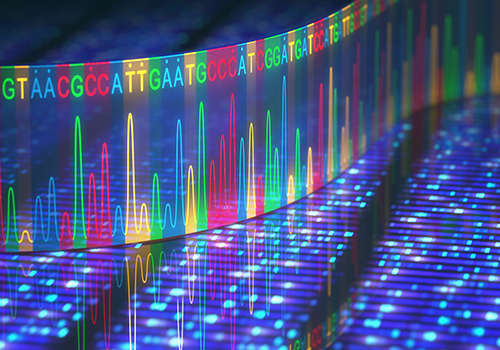 The American College of Medical Genetics and Genomics (ACMG) has just released a highly-anticipated updated policy statement that amends their list of genes to be reported as secondary findings during exome or genome sequencing from 2013. The new policy statement entitled “Recommendations for Reporting of Secondary Findings in Clinical Exome and Genome Sequencing, 2016 Update: a Policy Statement of the American College of Medical Genetics and Genomics,” is available online ahead of print in Genetics in Medicine. Four new genes were added to the list of recommended secondary findings, along with the elimination of one of the earlier genes from the 2013 list. The new, updated secondary findings list—ACMG SF v2.0—includes 59 medically actionable genes recommended for return in clinical genomic sequencing. A review of the rationale in looking for a defined carefully considered the list of genes that warrant scrutiny in individuals undergoing genome-scale sequencing. The list of new genes being added and supporting evidence for adding or removing a gene. Future areas of focus of the secondary findings maintenance working group, including the possibility of considering pharmacogenomic variants, expanding the nomination process and assessing the impact of secondary findings. “Applying the new process, while upholding the core principles of the original policy statement, resulted in the addition of four genes and the removal of one gene—one gene nominated did not meet criteria for inclusion at this time in the ACMG SF v2.0,” explained Michael Watson, Ph.D., executive director of the ACMG. In 2014, the ACMG established the Secondary Findings Maintenance Working Group (SFWG) to develop a process for curating and updating the list of recommended genes periodically. Between March 2015 and May 2016, six nominations to the secondary findings list were received and evaluated by the SFWG. One of these, PTCH1, associated with Gorlin syndrome/nevoid basal cell carcinoma syndrome, did not achieve SFWG consensus for addition due to insufficient evidence that knowledge of a known or expected pathogenic variant in the gene would alter medical management. However, four other genes—BMPR1A and SMAD4, associated with juvenile polyposis, ATP7B related to Wilson disease, and OTC associated with ornithine transcarbamylase deficiency—received a unanimous vote from SFWG members for addition to the list. One gene currently on the list, MYLK associated with familial thoracic aortic aneurysm and dissection, was removed. The ACMG Board subsequently reviewed and approved each of the six recommendations of the SFWG: exclusion of PTCH1, the addition of BMPR1A, SMAD4, ATP7B and OTC, and removal of MYLK. The updated policy statement also discusses more details of the adjudication process such as the nomination form, determination of an actionability score, and the review process. Moving forward, the SFWG plans to accept nominations from other medical specialty organizations. The ACMG also intends to develop resources to assist clinicians in medical management based on specific secondary findings.